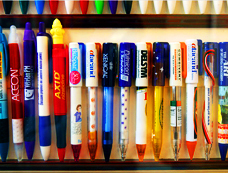 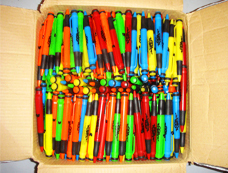 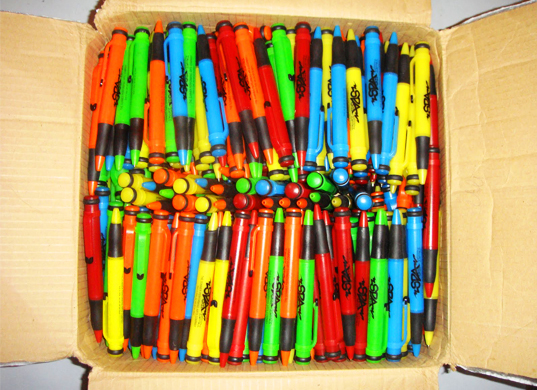 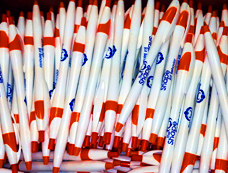 Branded pens, pencils, highlighters, and other writing utensils are great items to give away at tradeshows, events, career fairs, and to clients. 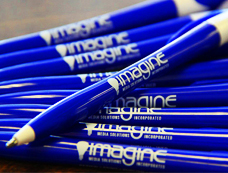 Branded writing utensils add a professional touch to your business and have the potential to display your logo or message to a wide audience. 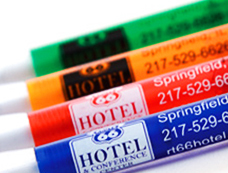 They will provide a sense of continuity to your office and will show your clients that you are a serious business that pays attention to small details. When you give these items away at tradeshows visitors will keep them and recall your brand whenever they write a check, take notes, and write down important information.